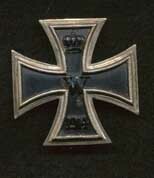 This is a WWI Iron Cross 1st Class. It is slightly vaulted and has not tarnished too badly over the past 86 plus years. It has a magnetic center. There are a few small spots of rust near the center, top, and bottom. 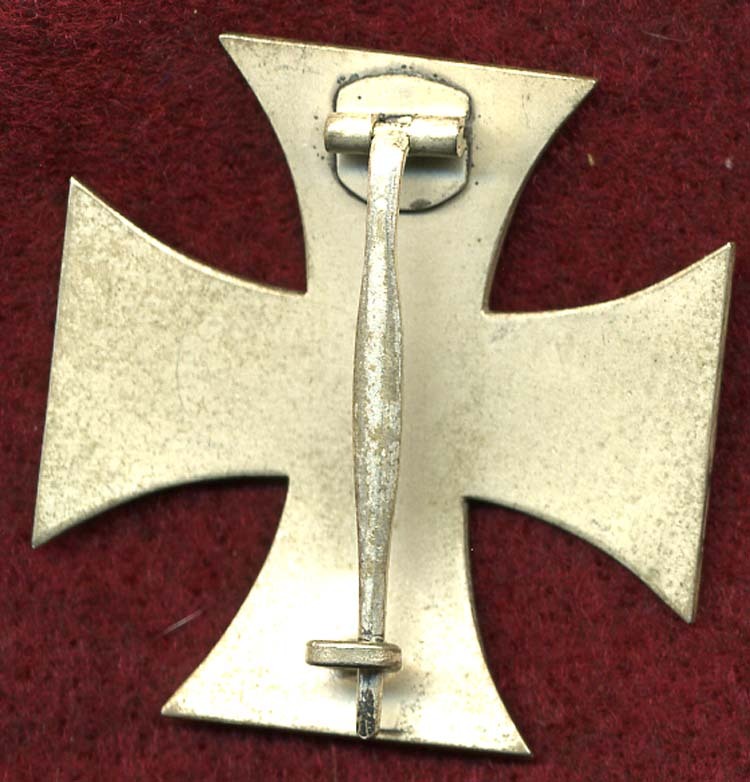 This is common unfortunately on many pieces, since the center is made out of iron. I do not feel that it detracts from the overall focus of the piece. Even my prized WWI EK1 has some rust spots on it. 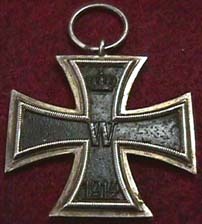 Other than that, this is a beautiful piece with lots of silver finish gleaming on the reverse. I do not see a makers mark. 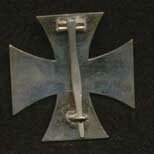 This is a beautiful Iron Cross First Class from the First World War! It is slightly vaulted with a coke bottle pin. I would have to say that 95 percent of the finish remains on this one. They just do not come any better!!! This one is unmarked. 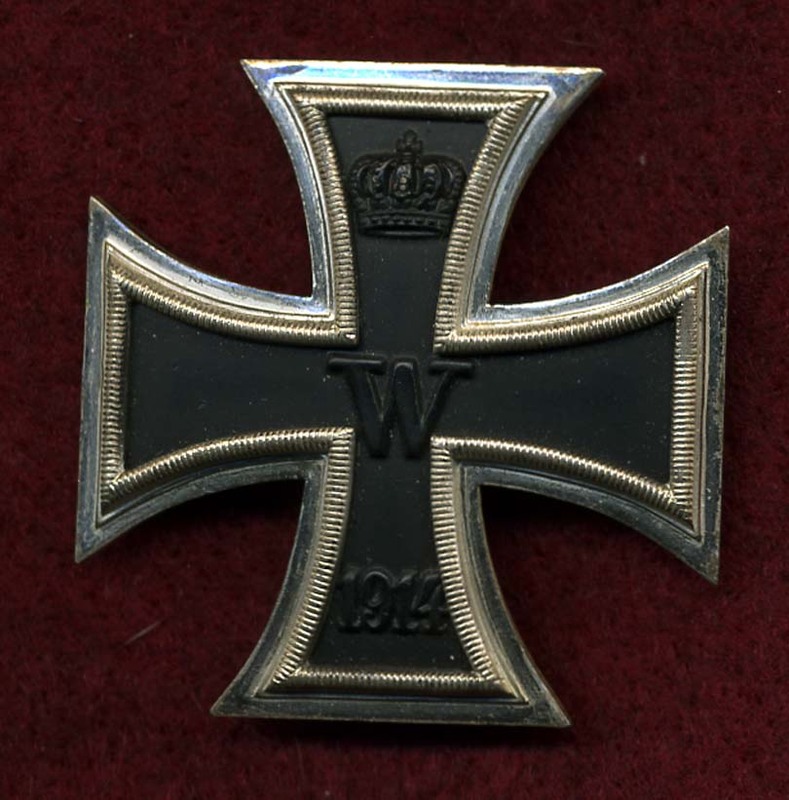 Iron Crosses are great investments, so grab yours today. 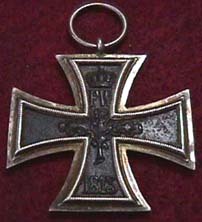 Here is a nice WWI Iron Cross 2nd Class. It does not have a ribbon, though. The edges show nice aging. The center shows a little rust and pitting, but still looks great. The suspension loop is marked KO.